Raising children can be worrisome at the best of times. Understanding what behavior is typical at different ages can help parents know what is normal and when they should be concerned. 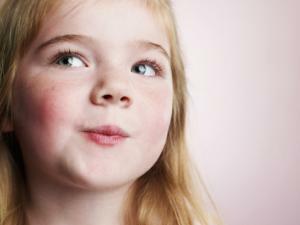 As children reach three years of age, parents hope the "terrible twos" are behind them. However, three-year-olds are still developing independence. At two, children learn they are a separate person from the adults that care for them. At three, they continue to want to show their separateness by doing things their way and making choices. They are still thinking in the 'here and now,' so they can't always see their choices do not make sense or may lead to problems. Their language skills are still developing so they want to tell you what they want, and what they don't want. Thinking skills are still limited so they can't understand adult logic and reasoning. The pediatrician's from the National Center for Infants, Toddlers and Families explain how developing independence and emotions affect children's behavior at this age and how parents can manage this challenging time. Allowing your child to make safe, age appropriate choices will give your child a sense of independence. They will also need clear limits about things that are not safe or appropriate. Young children struggle to express their emotions in words. Their feelings can be strong and change quickly. Tantrums begin to reduce but can still occur at this age. Listen to your child's emotions as well as their words. Helping them to calm themselves and to express their feelings in simple words will support them to develop self-control. Encouragement and rewards work well to encourage good behavior as children of this age are focused on their wants and needs. Don't delay seeking help if you are concerned. Research from the Washington University in St. Louis indicated that very long or intense tantrums where children are aggressive to others or themselves can be a sign of issues that need professional support. When children start school they face higher expectations and many more tasks to complete. As children learn to do things for themselves, such as getting dressed and packing their bag, things may actually take longer than when you did things for them. This can be frustrating but remember children are still learning and they can be more easily distracted than adults. Centers for Disease Control and Prevention explains how social, emotional, mental and physical changes impact on children at this age and how relationships, structure and clear expectations help kids thrive. Having a structured daily routine can help children with getting daily tasks done. Visual reminders such as lists, help kids stay on task and reward charts help with motivation. Relationships continue to be important at this age. 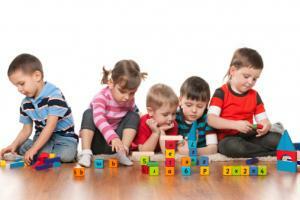 Young school-aged children are very social but they are still working out the rules of getting along with others. Fighting between siblings is common at this age. 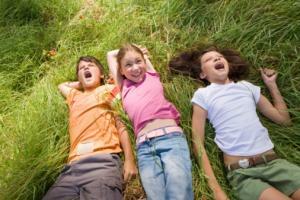 Children will also have disagreements with friends but these usually resolve quickly. Bullying can be an issue at this age and needs to be dealt with. Keep open communication with your child, so they know they can talk to you if they are concerned about anything. Pediatricians at HeathyChildren.org offer some practical advice to help your child develop good relationships with their peers. While your toddler could be removed or distracted from behavior that was dangerous or inappropriate, older children need discipline and consequences to learn how to be safe and to interact with others appropriately. Parenting styles can affect children's behavior, development, social skills and self-esteem. A firm, gentle authoritative approach with logical consequences for unwanted behavior is often the best approach. Being upset or arguing if things are "unfair" or others are "being mean"
As children progress through school, friendships with peers become more important. 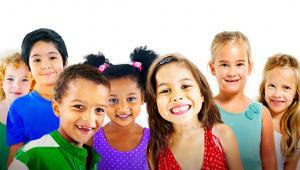 Children develop more awareness of themselves as an individual and how they compare with their peers. They enjoy spending time in groups with children with similar characteristics and will behave in a similar way to their friends. Helping your child resist the negative effects of peer pressure while still building strong friendships and a feeling of belonging can be challenging. Centers for Disease Control and Prevention explain the increasing maturity children experience at this age and provide some guidelines for parents through this time. Peers are very important at this time but don't think you are not also important. Kids of all ages are strongly influenced by parent behavior as well as peers, so remember the things you do together are still important. If your child seems anxious, angry, tired or sad and you are unable to change their mood. This can be a sign of depression which can develop in children and needs to be managed appropriately. As children continue to develop towards the end of childhood, they begin to be more independent in their thinking and to be able to understand more complex ideas and emotions. They continue to be very focused on how they compare to others and how they are viewed by their peers. Medical experts at WebMD explain why peer pressure is so important at this age and how parents can support children to have positive relationships with peers. If parents have enjoyed relatively calm and controlled emotions in their child over the last few years, they may find approaching adolescences brings an increase in intensity and negativity that feels like the terrible twos are returning. Strong relationships and good communication with both your child and their teacher can be valuable in helping guide your child towards the next stage of independence and maturity. Sometimes parents just need a little support and guidance. The Centre for Parent Information and Resources provides tips and positive strategies for managing children's behavior on their website, Behavior at Home. Talking with family and friends can help too. Making sure you have some time for yourself is important to give you the energy you need to support your child. If you are concerned that your child's behavior is very difficult to manage, speak to your family doctor about a referral to a child psychologist. A child psychologist can determine if there are any serious issues and can offer you and your child advice and strategies.